Twinkle Khanna surely does tickle the funny bone with her tweets. 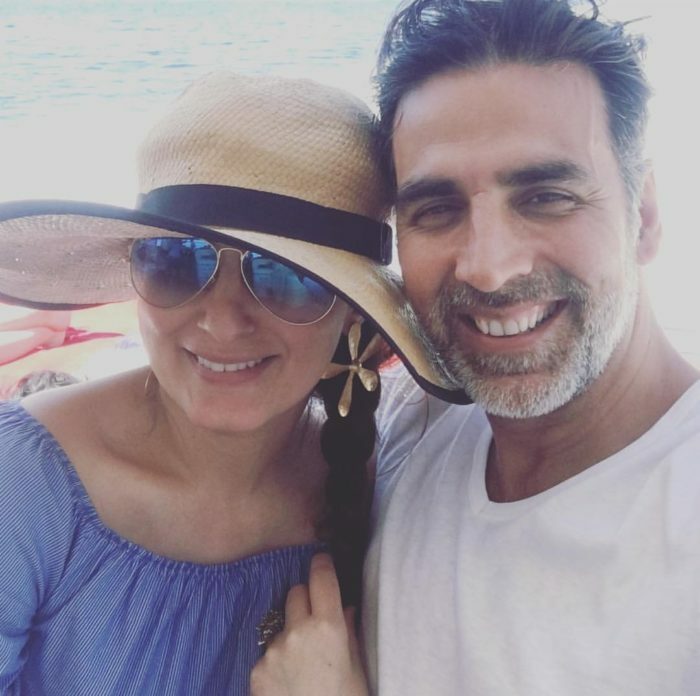 Celebrating 18 years of marriage with hubby Akshay Kumar, she decided to wish him in the best way she knew. With jokes and wit, obviously! While social media is flooded with the #10YearChallenge, Mrs. FunnyBones made her own #18YearsChallenge and shared three pictures with captions meant to give you all the LMAOs. She started with “What did your husband give you for your anniversary?” complaining about all the things Akshay didn’t give her, and they are hilarious! However, in her fourth tweet, she posted a beautiful picture of the two holding hands and her caption was worth gold! “Why would I want a man just like me? What would I learn from him? The couple got married in 2001 and celebrated the A-day with a dinner date last night with close friends. We wish them a lifetime of happiness!